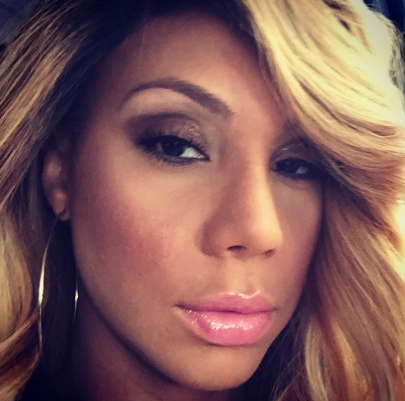 Last month Tamar Braxton was fired from day time talk show The Real after a rumored dust-up with producers [click here if you missed that]. Methinks the woman doth protest to much! thats not completely true she's been spotted hanging with Tamera as recent as the Essence Festival. Shows she knows who the fake friends from the show were. plus who the hell actually hangs out with friends from work outside of work, let alone from a job you were fired from?? Of course she hasn't reached out to her ex-cohost, she's too busy cheating on Vince. She ain't got time for them. 11:09am hit the nail right on the head!! Tamar is cheating and trying to keep it hush hush. Now she has to make sure her marriage looks rock solid especially before her new show starts. Is anybody really surprised...the girl left screaming & kicking with no dignity...hopefully she learns that going forward, NEVER let them see you sweat...be gracious and move on. she was seen chatting up Tamera and eating lunch. Loni act like she is guilty of something, why is she still on this. I wonder what she means because she's been seen with Tamera several times. She flew to Essence Fest with Tamera. Adrienne was at her sons birthday party. Who cares, "The Real" is over. Lonnie needs to stop talking and start looking for a new job.